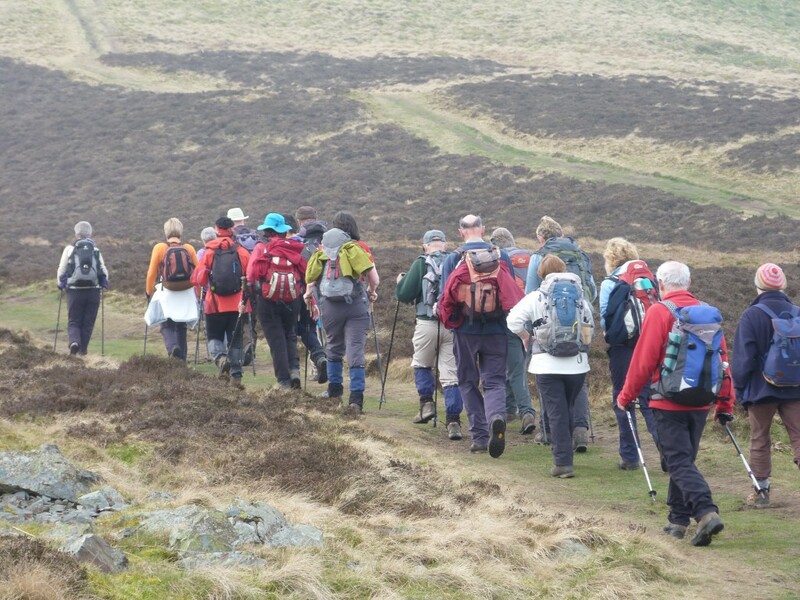 Helpful advice for new walkers | Bearsden & Milngavie Ramblers. You can walk alone if you prefer solitude, or with relations, friends or a walking group if you prefer company. Footwear – If you are sticking to urban areas, footpaths and paved roads, then a good, comfortable pair of trainers will get you started. When you start to tackle muddy paths, fields or hillsides, then you will need boots that will be waterproof, have a sole that will give you a good grip and will support your feet over uneven terrain. Clothing – To cope with the vagaries of the Scottish weather, you need to make sure you don’t get too hot, too cold or too wet. Even on a cold day, a brisk walk, especially if it is uphill, can soon get you ‘glowing’. So several thin layers are ideal. You can remove or replace these to adjust your temperature to the conditions and your exertions. For wet weather, a quality waterproof jacket is essential, ideally with a breathable finish that prevents the rain getting in but allows the perspiration out. And don’t forget your legs as well. Jeans should not be worn, since if they do get wet, they won’t dry out easily and will quickly make your legs cold. There are lots of cheap waterproof trousers in the outdoor shops that will fill the bill. Equipment – Drinks are essential on any walk, whether it’s a hot drink or just plain water. And if you’re going to be out for an hour or two or more, then a ‘piece’ will keep the hunger pangs at bay – sandwiches, healthy snacks but not too many chocolate biscuits (see advice about weight control on the “New Walkers” page of this section)! To carry all of this, a small rucksack will be necessary. You can find more detailed advice in walking advice section of the website.